A hackable, playable drum synth not afraid to sound digital: count us in. If you liked last week’s Dam-Drum 2.0, here’s yet another grungy beauty with four triggers and knobs. The frauAngelico also features nicely-low-fidelity drum samples, performance controls, and a built-in sequencer, just like Dam-Drum 2.0. 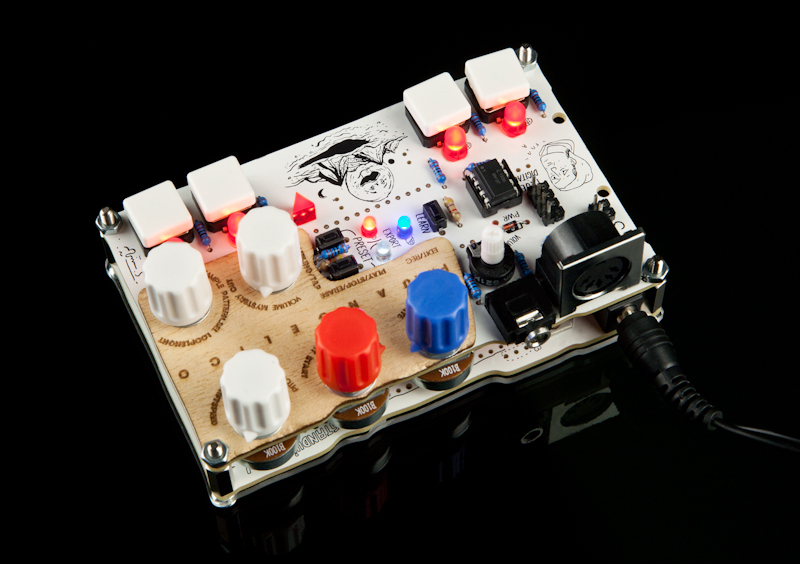 It has some tricks up its own sleeve, though, with built-in MIDI capabilities (promised for a future drum synth from Bleep), some very cool effects and performance controls, and an open source, Arduino-derived foundation for easy hacking. The frauAngelico is packed with features, and it’s a bargain at €80 (kit) or €130 (assembled). In fact, to me, the only real flaw in this sort of design is that it does make for something a bit fragile – maybe it needs a carry-case, if someone wants to get on that. Adjust loop length, shift speed, start, cut – up to “microsample”-short sample playback. 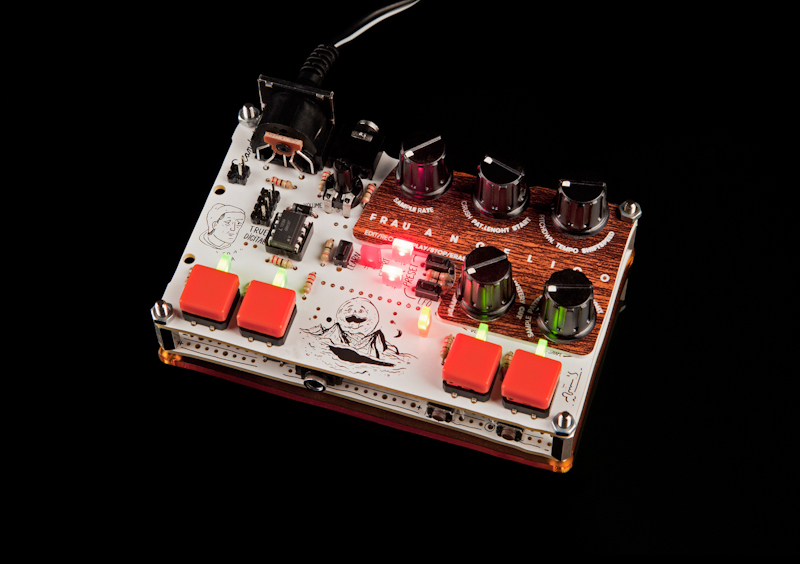 Step sequencer with record feature, tap tempo, pattern length and shuffle. Performance controls for the sequencer: jump, mute, preset storage, 32-step storage. Samples from the TR-808, 8-BIT, BASIC. Handmade silk-screened box, and inside a poster with instructions, and badge. frauAngelico demo from standuino on Vimeo. 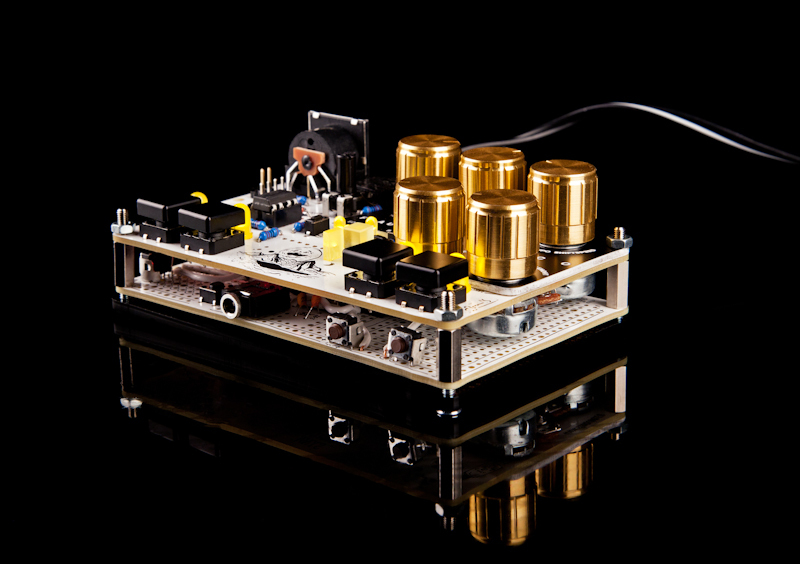 The instrument comes as part of the Standuino project, the team that has been inspired by Czech innovator Standa Filip, and the mission of spreading his ideas in this post-Cold War world. We hope to see them on tour soon and find out more about their latest. Láčes u rybníka from standuino on Vimeo.